← PayPal Here, a card reader and app for taking payment on your iPhone or iPad finally comes to Australia, getting in before Square and Apple’s likely credit card system. 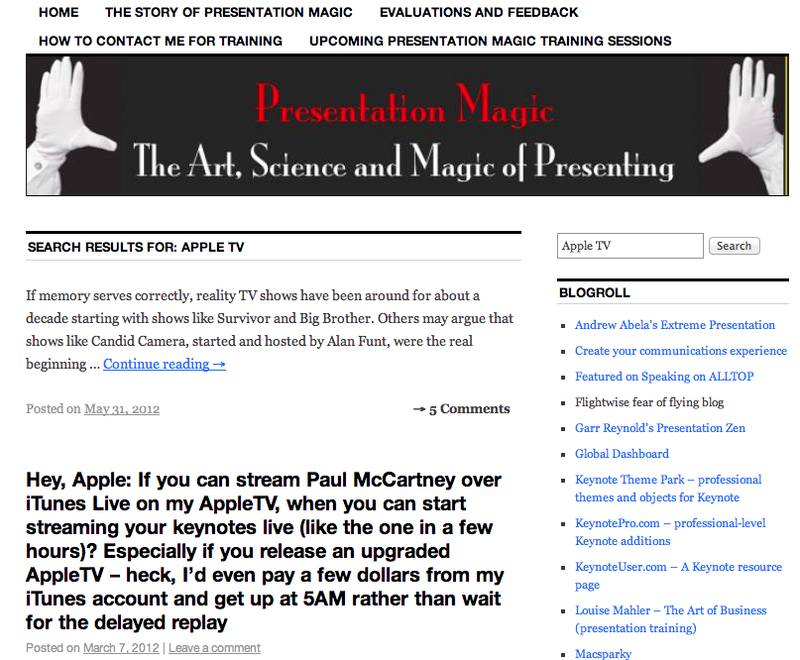 Back earlier this year, I wrote a simple headline (below) suggesting that if Apple could stream Paul McCartney over its AppleTV arrangement, why not return us to the 1990s and stream its keynotes? Well, perhaps someone at Apple was listening! 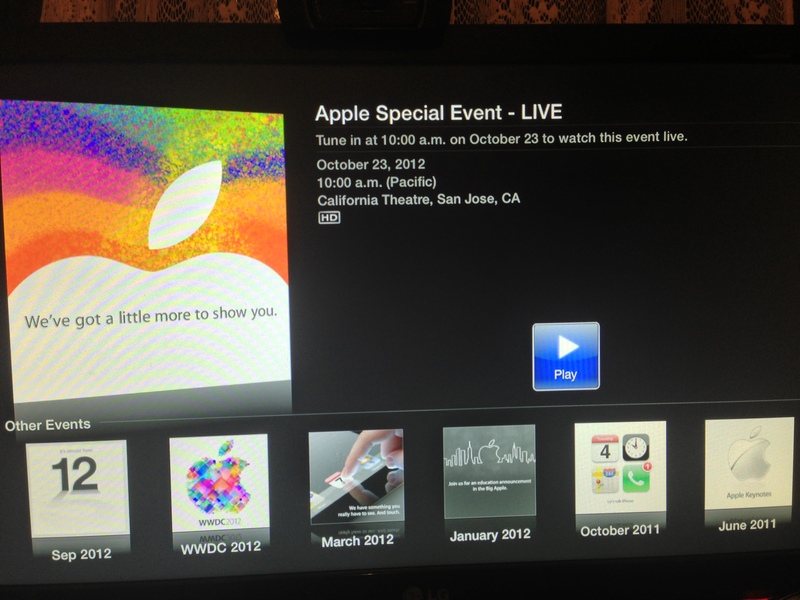 Because for the first time, Apple wil be using its AppleTV service to live stream the October 23 Special event. It won’t be at 5am local time in Australia, but 4am… Ah, decisions, decisions! Here is a photo of my LG monitor display showing the announcement, and Other Events going back to June 2011. Let’s hope this becomes a permanent arrangement. That “hobby” of Apple’s is sure starting to take on new life!